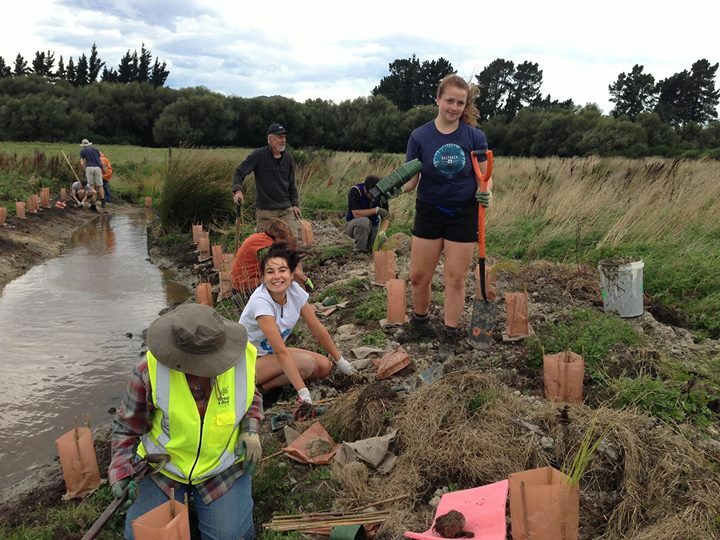 We’ll be weeding around native plants, and planting native water plants in newly/created wetland areas (as important spawning habitat for the threatened Canterbury mudfish. 1 pm-3 30pm Sunday 25th March (rain or shine…but weather will be good, I promise). Driving instructions: From North/East Christchurch- head to Oxford from the northern motorway, then take Woodside Rd, Mounseys Rd then turn onto Island Rd and meet at the first house on the left. Don’t take Island Rd all the way unless you are happy to go through the ford. From West Christchurch take Old West Road and go over the Waimakariri Gorge bridge, then along Harmans Gorge Rd – don’t take Ashworths Rd or Raineys Rd unless again you like fording a river! Carry along Island Rd until it turns into a gravel road then first house on the left. Bring gardening gloves, snacks and water bottles, clothes for both rain or shine e.g. rain coat, outdoors shoes/gumboots (with closed toes are there are a few thistles). Event will be either rain or shine!